A Sweet and Sour sauce combining peppers, pineapple, carrots, onion and bamboo shoots with rice vinegar and light soy sauce. 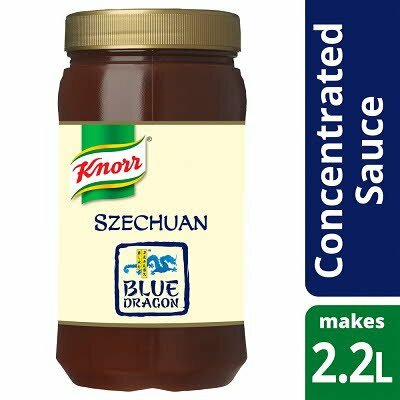 SAUCES AND CONCENTRATED SAUCE PASTES - The sauces are perfect for cook-in, stir fry's or dipping with wanton or crackers whilst the pastes can be used as a marinade or base for your own culinary sauces. - Sauces and pastes are microwaveable, freeze-thaw and bain-marie stable. - Accompaniments include giant prawn, egg noodle nests and spicy vegetable crackers. *This offer is open to UK bona fide catering establishments. 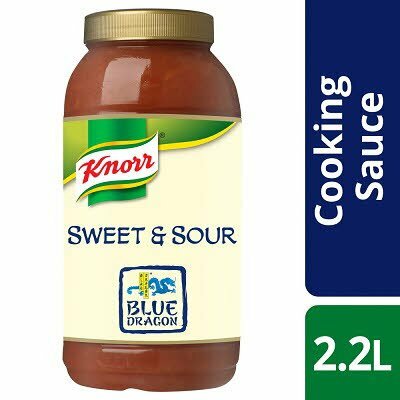 To receive a free gift of a Windsor Chef‘s Jacket and 300 additional Chef Reward points, you must purchase two cases of either the Knorr Sweet and Sour or Szechuan Sauces. There are 100 Chef Jackets in total to giveaway, limited to one per person. Closing date is 23:59 GMT on 28/02/2019. See here for full terms."